Better Bodies Club began with one vision: to bring together a fun, non-intimidating community of like-minded individuals seeking the Better Life through muscle movement, injury prevention, strength training, balance, co-ordination and, ultimately, transforming the way you look, feel and live at every age. We break through barriers and we do it better, together. 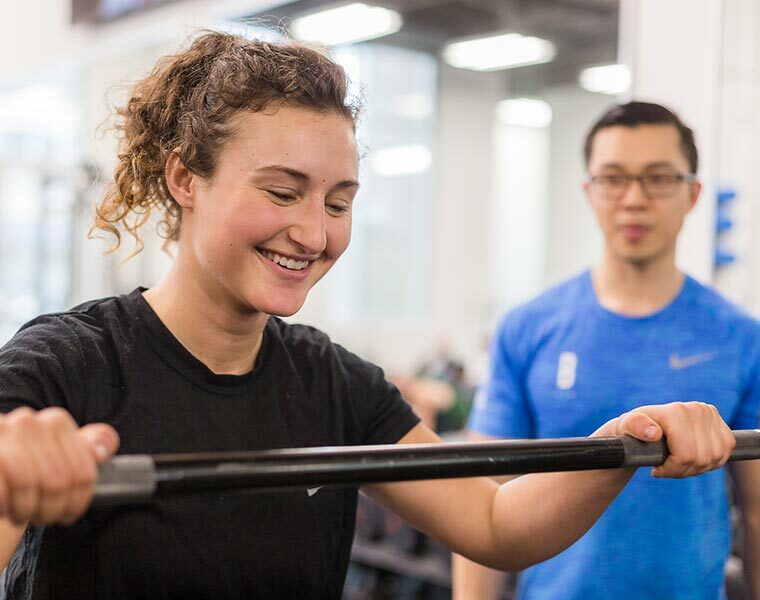 With your personal trainer’s expertise and The Assessment as your baseline, your personalized fitness plan is designed with your trainer’s ongoing support. Get a full body workout with a friend after you each complete The Assessment. A fitness program is choregraphed with both clients in mind. Fascial Stretch Therapy and Registered Massage Therapy: the treatment essentials to help you reboot, restore, renew and revive your potential. Fascial stretch therapy is a treatment that helps alleviate chronic aches and pains through assisted stretching that targets the fascia to help restore it to its natural movement. Depending on the specifics of your injury and, how your body responds, will determine the right recovery method for you. We offer a range of techniques to find the right fit for you. Complimentary Underground Parking. Towel service and Molton Brown Bath products included. Body Energy Club smoothie service available.